LOS ANGELES – August 17, 2016 – Gamblit Gaming, the leading publisher for real-money and skill-based gaming in mobile and land based casinos, today announced a strategic collaboration with PikPok, a New Zealand based videogame publisher, to join forces on two of its successful mobile titles. 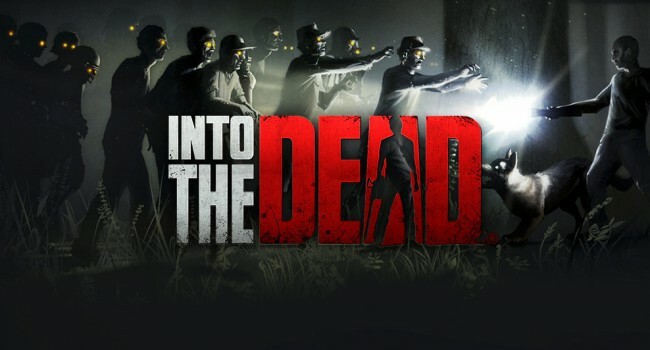 Into the Dead, the wildly popular First-Person Runner depicting a zombie apocalypse that has been downloaded more than 60M times and Breakneck, the high-octane futuristic racer with over 5M downloads, will be enhanced with real-money gaming elements. Both titles are set to launch on casino floors in 2017. As the leading innovator of real money and skill gaming, Gamblit Gaming develops and publishes a wide variety of games that bring a casual, arcade sense of fun and skill into the casino market. Gamblit Gaming also works closely with game developers to gamblify and publish their games into new markets, tapping into the lucrative revenue streams of real money mobile gaming and land-based casinos. Gamblit Gaming provides all of the technology, gambling expertise, operations, account management, security, gambling licenses, regulations and compliance elements needed. The company also helps casino operators deliver a new entertainment experience to not only attract new players, but retain existing users. Through Gamblit Gaming, casino operators can compete on innovation while driving growth and revenue. For more information on Gamblit Gaming and their partners, please visit: www.gamblitgaming.com. Gamblit Gaming is the leading technology provider of real money and skill gaming in video games, enabling a wide range of game genres to accommodate gambling experiences in online and on-site deployments worldwide. Gamblit’s platform provides all essential regulated technology, customer operations, and licenses; freeing up game developers, publishers, and casino operators to focus on making the best possible game experience for their players. Founded with the goal of bridging the gap between games and gaming, Gamblit’s executive team has deep roots in both industries. Gamblit Gaming is a portfolio company of American Capital, Ltd. (Nasdaq: ACAS) and is headquartered in Glendale, California. PikPok is a leading publisher of great games across mobile, tablet and desktop. With a portfolio of original, licensed, and third party developed properties, PikPok delivers games that appeal to all consumers with pick-up-and-play gameplay, high-quality art, and immersive audio design which provide rich game experiences. PikPok has released multiple critically and commercially successful games including the popular Flick Kick® series, BAFTA nominated Super Monsters Ate My Condo™, Into the Dead®, Shatter®, and more. Steal a moment, and play a game from PikPok. For more information on PikPok, please visit www.pikpok.com and www.facebook.com/pikpokgames.